The best way to approach any construction related problem is to find a long-lasting solution to it. Similarly, with moisture problem in any part of the house, especially the basement, the best approach is to remove or control the source of moisture. A homeowner does not use the basement as much as any other part of the home. Usually, there are recurring problems of damage in the basement due to moisture. Excessive moisture can destroy the walls. It can cause the growth of microbes such as molds and mildew and lead to health problems. In short, it will kill the look of the basement and destroy the foundation of your home as well. Moisture problem in the basement can be solved through a planned way. The first step is to understand the cause of moisture. You need to analyze where the water is coming from, and what mechanisms permit it to enter the basement. Once you know the cause, only then you will be able to solve the problem efficiently. During grading of the construction site, if the slope is inclined towards the walls of your home, then water will definitely get directed towards the basement. As a result, the soil used during the construction process will get loose and settle around your home. Solution: Fill the slope with a lot of dry sand so that it directs water away from the foundation walls. Once the soil takes the place of water, the basement can remain protected from moisture. Cracks in the concrete blocks can lead to accumulation of moisture. Also, if floor joints are not properly connected to the foundation wall, it can lead to movement of the wall and allow water to enter the basement. Solution: You must take utmost care while building the foundation and footings. Also ensure proper connection between the foundation wall and structure above it. If the foundation of your home is damaged, you must contact a foundation repair contractor and obtain his expert help. Missing or defective gutters and downspouts from the roof redirect water directly to the foundation walls. Also, if a downspout has no extender, then a huge amount of rainwater will be deposited at a single location near the base of the foundation. Solution: Downspouts should be fitted correctly at required places where roof water gets collected. Take care of leakage from downspouts using correct waterproof sealers. Extensions, if any, should discharge water at least a few feet away from the walls of your home. If possible, build concrete slopes around the foundation walls to avoid water collection. An improperly constructed window well can be the source of moisture problem in the basement. It will direct water towards the foundation, rather than away from it. It might also lead to a situation of severe flooding. Solution: If you want to build a window well, make sure that it is covered properly so that it doesn’t allow water to come inside the basement. You must check the cracks in the window well and seal them regularly. It is a good decision to manage a moisture problem with waterproofing solutions. 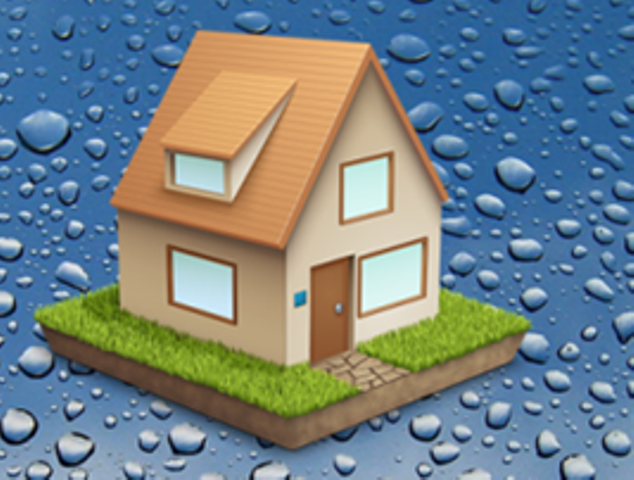 You can select interior waterproofing solutions or choose exterior waterproofing solutions to keep moisture away from the basement. If the moisture problem is not severe, you can opt for interior waterproofing solutions as they are less expensive. If you do not address the moisture problem in the basement, it can prove to be a silent killer for your home. So, follow a systematic approach of identifying the causes and find relevant solutions to them. It will lead you to a moisture-free home. A waterproofing contractor can ensure long-last solution to the moisture problem in the basement. If you want to get rid of damp floor and leaky walls, get in touch with PourConcrete.ca – The general contractor will provide effective waterproofing solutions as well as take care of foundation repair in GTA.